Fulfill all of your guests' snacking needs with this Nabisco Teddy Grahams cinnamon flavored snack pack. Each pack features graham crackers bears that are naturally flavored with cinnamon for a deliciously sweet taste. Display them in cafeteria food lines, add them to convenience store snack aisles, or insert them into packaged school lunches. They can also be featured near check-out stations, at concession stands, or in grocery stores to capture impulse purchases for additional profit. Packaged in a simple, easy-to-open wrapper, the snack pack is portioned as a savory, 90-calorie treat. They also contain no high fructose corn syrup and have 0 grams trans fat per serving, making them appealing to the health-conscious consumer. Provide a pre-packaged, mess-free snack for your customers with the Nabisco Teddy Grahams cinnamon flavored snack pack! Teddy Grahams are a sweet, delicious treat. These handy little snack packs are perfect for snacks. They'll certainly be the center of attention on your concession stand, cafeteria line, snack shop, or convenience store. Nabisco Teddy Grahams .75 oz. Cinnamon Flavored crackers are a tasty treat. The sweet cinnamon flavor is packed in cute little teddy bears. They're great served as a dessert topping, or they can stand alone. Kids and adults alike will love them. Nabisco Teddy Grahams Cinnamon Flavored crackers are sweet and delicious. The cute little bears are fun to eat. The little individual snack packs are perfect for school lunches or after school snacks. You can't go wrong with Teddy Grahams. The Nabisco Teddy Grahams Cinnamon Flavored Snack Pack arrived promptly and was well packaged. The quality of the teddy grahams tasted fresh. We would recommend it. A nice fun snack for the kids that tastes great. The Nabisco teddy grahams are a hit at all my kid's birthday parties and are flavored nicely with cinnamon. Great tasting snack crackers from Nabisco are great for lunches or anytime snacking. Cinnamon flavored snacks taste great and a full case of 150 packs is a great deal! 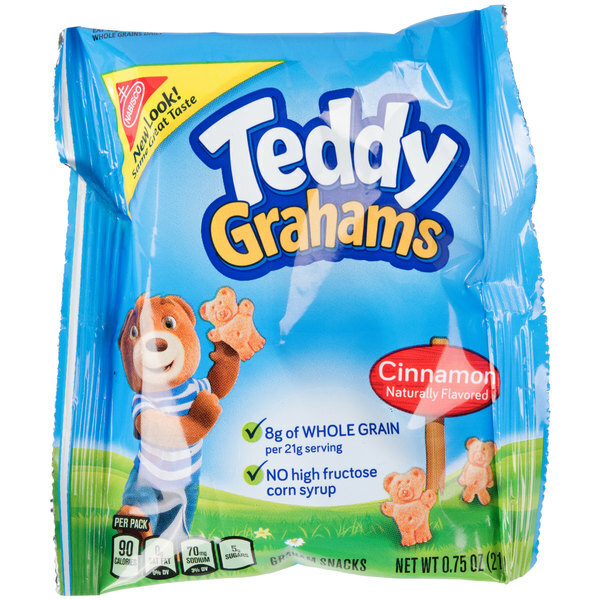 These nabisco teddy grahams are the perfect snack for the kids or just a great snack on the go. They come in a case of 150 which is great! A great tasting cinnamon flavored snack pack that is great for our kids at snack time. The cookies are well packaged and very fresh. They love the fun teddy bear shape. 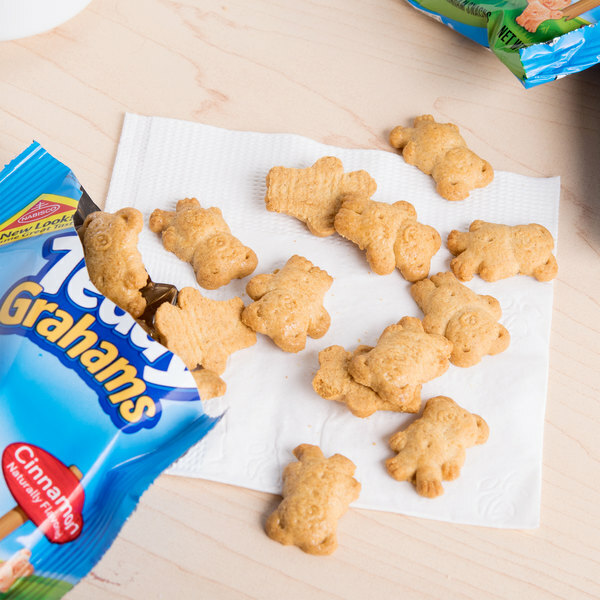 These convenient packs of teddy grahams snack crackers are perfect for school lunches. Each pack has just the right amount of crackers for a great tasting snack. 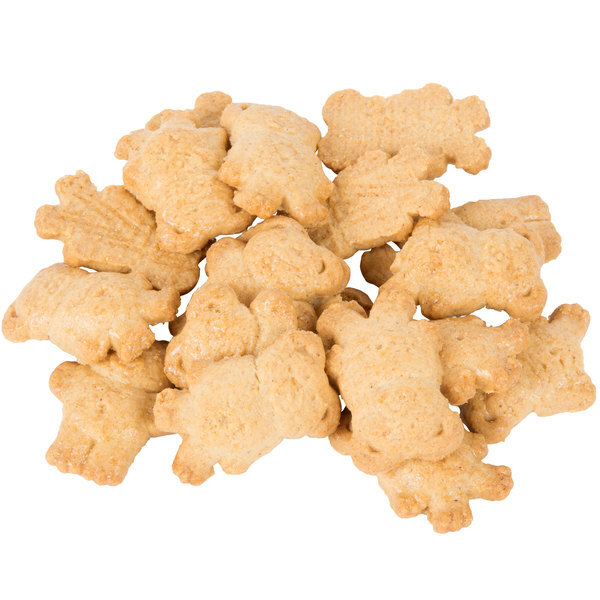 These teddy grahams crackers are a great tasting snack. Cinnamon flavor is great with cocoa, coffee or tea. 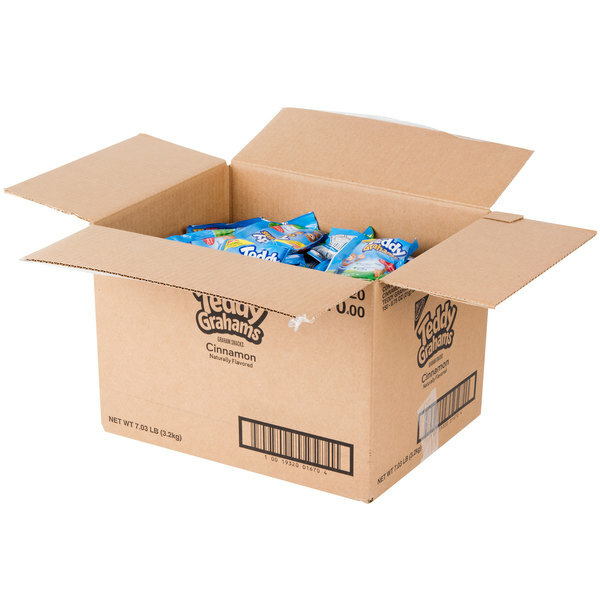 150 pack case is perfect for kids lunches or on the go snacking.